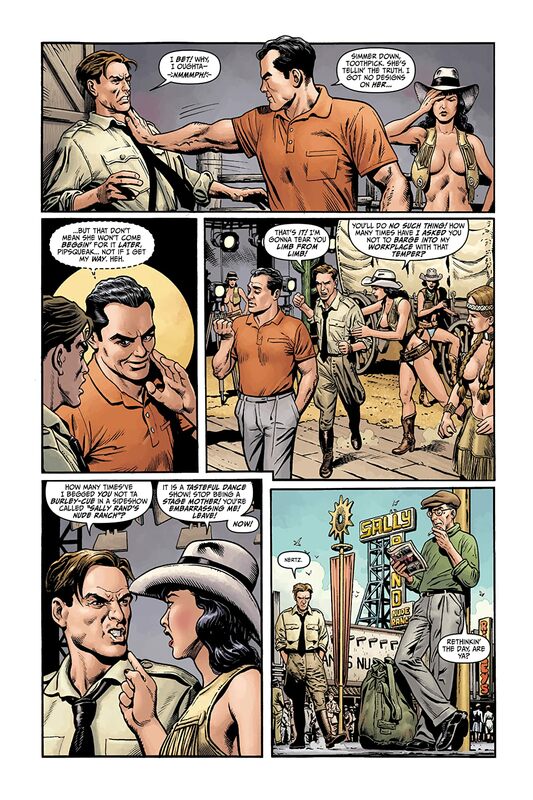 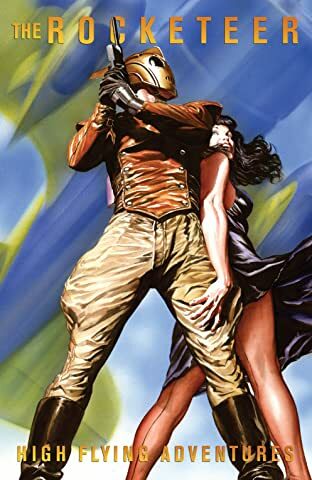 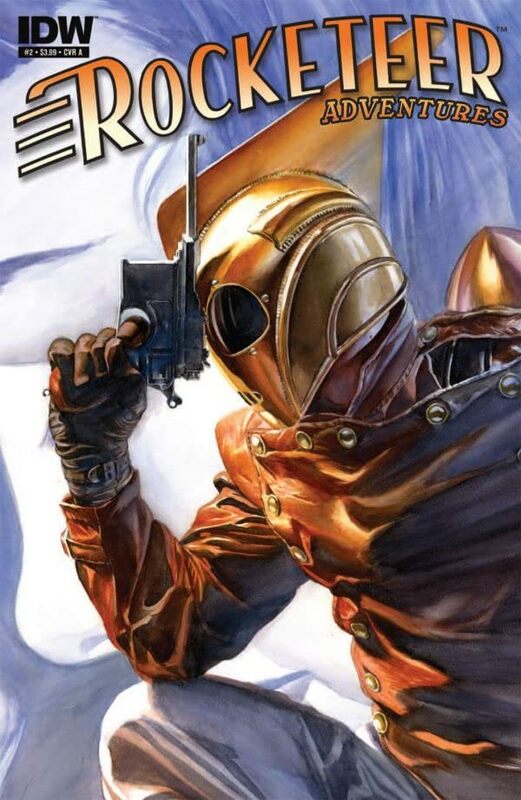 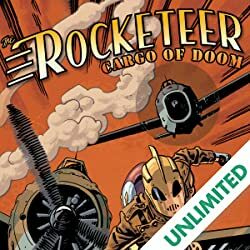 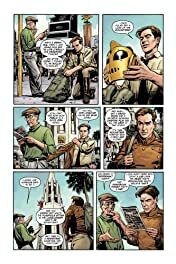 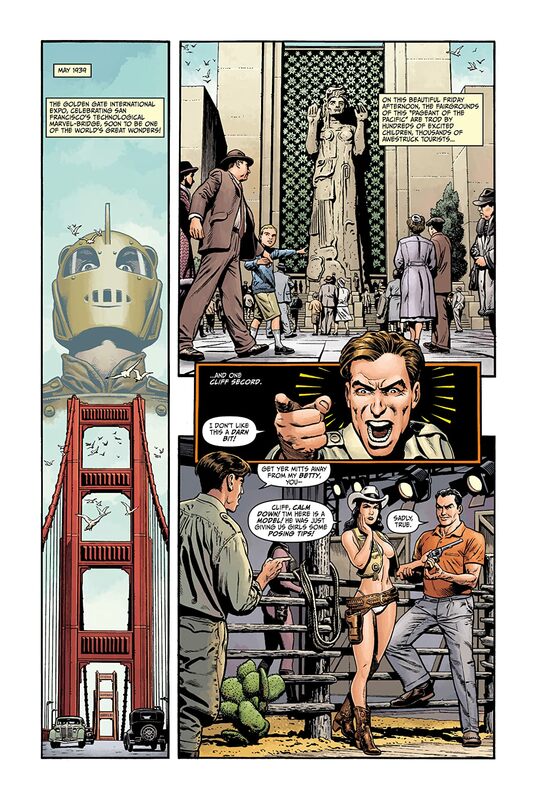 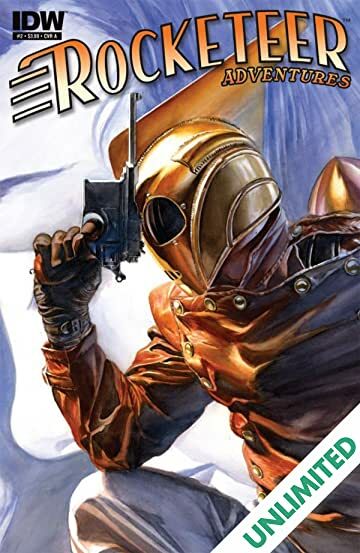 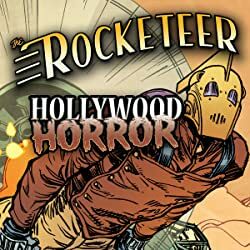 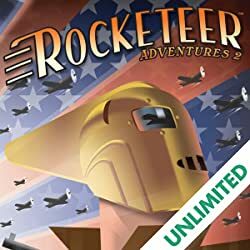 This issue of ROCKETEER ADVENTURES continues to soar with a trio of stories crafted by masterful comics creators. 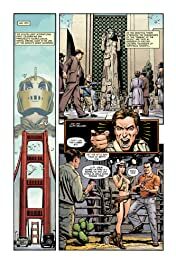 Mark Waid and Chris Weston provide a pulse-pounding story of revenge set to a colorful backdrop of the opening of the Golden Gate Bridge, Lowell Francis and Gene Ha put Cliff through his paces in an-all action extravaganza that has him fighting tooth and nail for his very survival, plus a special guest star! 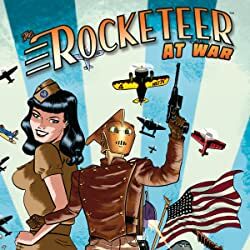 Finally, Darwyn Cooke delivers the goods (as always!) with a tale that we won't say one word about - it's too good to even hint at and ruin the surprise! 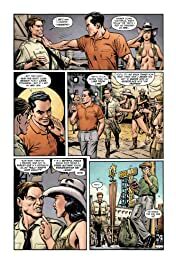 Plus, a pair of pin-ups, BOTH by Geof Darrow, his incredible piece was just too massive to be held to the confines of a single page, so he's supplying a gorgeous TWO-PAGE pin-up!